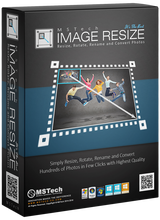 MSTech Image Resize 1.5.2 was available as a giveaway on April 16, 2019! - And then press "OK", that's it. 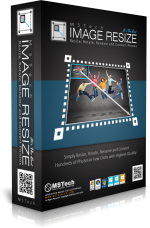 Buy MSTech Image Resize Pro v1.5 + FREE UPGRADE to v2.0 Pro Edition +FOR 2PCs - 55% OFF ($12). One Day Only. How would you improve MSTech Image Resize 1.5.2? Downloaded and installed with no troubles. That's great! Tested the app with several singles first, reducing some 8192 x 8192 JSPlacement Texture images to 4096 x 4096, then I did a quick batch image reduction of three JSPlacement Dot Grid images 8192 x 8192 to 4096 x 4096. All tests came out excellent. One thing that bothers me about the program is the Pop up asking if I would like MSTech Image Resize to make changes to my hard drive every time I want to open it. Seems that once the program has been installed, that annoying pop up should not appear each time I open the program. I suggest working on that for your next build. At any rate, I deem this a keeper! Thanks MS Tech, and GAOTD! Downloaded and installed with no troubles. That's great! Tested the app with several singles first, reducing some 8192 x 8192 JSPlacement Texture images to 4096 x 4096, then I did a quick batch image reduction of three JSPlacement Dot Grid images 8192 x 8192 to 4096 x 4096. All tests came out excellent. One thing that bothers me about the program is the Pop up asking if I would like MSTech Image Resize to make changes to my hard drive every time I want to open it. Seems that once the program has been installed, that annoying pop up should not appear each time I open the program. I suggest working on that for your next build. At any rate, I deem this a keeper! Thanks MS Tech, and GAOTD! Your comment transferred to our tech team. Be sure we will use your comments to improve our software performance in order to meet your highest satisfaction. If I understand the program's feature(s) correctly, it doesn't do anything more than the freeware "FastStone Image Viewer" also can do - batch image processing. Two MSTech gifts this week - both insisting I enter either Mr. or Mrs. I am neither. Please eliminate that field or make it optional - it's a jarring note on otherwise smooth installation and registration. Thanks for your comment, Regarding your suggestion, we will add other options too, with highest respect. Chinghiss Khan, Thanks for the chuckle. Nothing so interesting as a self-reproducing alien. Just a plain ordinary "Ms". Mrs. is inappropriate as my last name is different from my husband's. Chinghiss Khan, Thanks for the chuckle. Nothing so interesting as a self-reproducing alien. Just a plain ordinary "Ms". Mrs. is inappropriate as my last name is different from my husband's. B. Paltiel, Quite right not all females are married and Miss, Ms would be an essential addition as well as Rev. Dr. The attribution really needs to be optional and user definable as not all cultures use Anglo-centric. Not all males use the attribution Mr either. Your program has the localization of multiple languages how to switch the interface language, for example, Russian? Thanks for your comment, in this version we only have English language. But, our tech team is working on the new version, and with that we will support more languages for the software User Interface. Mary Johnson, May I suggest that your developers re-work the program so it no longer needs to execute with elevated admin user rights... it should not be needed with this type of program that makes no system wide changes or ring0 access and will make your program unusable in windows installs where the end user operates according to Microsofts best practice advice and use Least User Access rights in a standard user account instead of an adminastrative rights user account. Also there needs to be an option to maintain aspect ratio of source files... AND the ability to specifiy the MAX dimensions that would then permit resizing landscape and portrait in a single batch operation like can be done in Irfanview. Currently I have to either use percentage Or do the maths in order to keep source files aspect ratio which should not be the case. In Irfanview I can specify the max raster area the target device can render and then resize any aspect ratio files within the same batch to fit within that raster size without adding black bars to the output files to force them to the max raster size aspect ratio. Currently it warps the source image to the raster size chosen. "All Images has been found." "All images have been found." "images" should not be capitalised and "have" is the correct English word for that alert not "has". A couple of suggestions to the developers regarding new features, you might consider the capability to add EXIF data to a batch of pictures, e.g. "Sarah's Birthday Party 2019", & it would be handy to be able to set the photo dpi. L. Cleveland Major asked: >"Does this software reduce or increase the file (hard drive storage) size?" A digital image [photo] has 2 metrics -- the image size and its dpi. It's somewhat confusing. The dpi is kind of how densely the pixels [dots] are packed together, e.g. 300 dpi is pretty much standard for printing. Opening a photo in PSP, its dimensions in inches is ~47" square at 72 dpi [screen or monitor resolution is 72 or 96 dpi], but that drops to ~11" square at 300 dpi for printing. So you decrease the size a photo's displayed at, & the size of that printed photo by increasing its dpi, but the amount of data, the number of pixels in the photo does not change, so the file size remains the same. You can of course take away data [pixels], and that makes everything smaller, the displayed & printed sizes as well as the file size. But, just like enlarging a photo digitally, reducing one relies on some guessing on software's part, and some quality will be lost. Software that doesn't let you set the dpi, e.g. MSTech Image Resize, normally just works at 72 or 96 dpi, so reducing a photo's displayed size reduces the amount of data [pixels]. So. you don't want to send a relative a photo that you've resized permanently, by removing pixels, if they might want to print a copy, though it is perhaps good etiquette to shrink that photo if it's only ever going to be seen on their cell phone. That said, the photos you see online or in emails are very often much larger than they appear -- it's not common practice any longer to shrink photos to the exact dimensions that you want them seen on-screen. You can usually send a photo as-is without worrying that when it's viewed it'll take up the entire display, or possibly extend far beyond the display's borders -- it's more than likely any software used to view that photo will automatically size it for display purposes automatically. As for shrinking the file size itself, most often that's what the jpeg format's for. A Photoshop file that's ~350MB = ~10MB as a jpg at 100% quality, but can shrink to less than 2MB as the quality setting is decreased. Jpeg is a lossly format -- you lose data, same as with mp3 audio files. Also like mp3 audio files, the higher the quality, the less data that's abandoned. The quality setting you use is a compromise between how small you want/need the file to be, v.s. the amount of quality you want to preserve. L. Cleveland Major also asked: >"Does this software reduce or increase the pixel size?" There actually is no such thing as a pixel size -- it's simply defined as the smallest thing or shape or dot that a display can show. While most people just go by the screen resolution of a display as a relative measure of its quality, the pixel density reflects how small those dots are -- the pixels on a 1080p display that's 50" across are MUCH larger than the pixels on a cell phone screen that's also 1080p. A couple of suggestions to the developers regarding new features, you might consider the capability to add EXIF data to a batch of pictures, e.g. "Sarah's Birthday Party 2019", & it would be handy to be able to set the photo dpi. L. Cleveland Major asked: <i>>"Does this software reduce or increase the file (hard drive storage) size? "</i> A digital image [photo] has 2 metrics -- the image size and its dpi. It's somewhat confusing. The dpi is kind of how densely the pixels [dots] are packed together, e.g. 300 dpi is pretty much standard for printing. Opening a photo in PSP, its dimensions in inches is ~47" square at 72 dpi [screen or monitor resolution is 72 or 96 dpi], but that drops to ~11" square at 300 dpi for printing. So you decrease the size a photo's displayed at, & the size of that printed photo by increasing its dpi, but the amount of data, the number of pixels in the photo does not change, so the file size remains the same. You can of course take away data [pixels], and that makes everything smaller, the displayed & printed sizes as well as the file size. But, just like enlarging a photo digitally, reducing one relies on some guessing on software's part, and some quality will be lost. Software that doesn't let you set the dpi, e.g. MSTech Image Resize, normally just works at 72 or 96 dpi, so reducing a photo's displayed size reduces the amount of data [pixels]. So. you don't want to send a relative a photo that you've resized permanently, by removing pixels, if they might want to print a copy, though it is perhaps good etiquette to shrink that photo if it's only ever going to be seen on their cell phone. That said, the photos you see online or in emails are very often much larger than they appear -- it's not common practice any longer to shrink photos to the exact dimensions that you want them seen on-screen. You can usually send a photo as-is without worrying that when it's viewed it'll take up the entire display, or possibly extend far beyond the display's borders -- it's more than likely any software used to view that photo will automatically size it for display purposes automatically. As for shrinking the file size itself, most often that's what the jpeg format's for. A Photoshop file that's ~350MB = ~10MB as a jpg at 100% quality, but can shrink to less than 2MB as the quality setting is decreased. Jpeg is a lossly format -- you lose data, same as with mp3 audio files. Also like mp3 audio files, the higher the quality, the less data that's abandoned. The quality setting you use is a compromise between how small you want/need the file to be, v.s. the amount of quality you want to preserve. FWIW... L. Cleveland Major also asked: <i>>"Does this software reduce or increase the pixel size? "</i> There actually is no such thing as a pixel size -- it's simply defined as the smallest thing or shape or dot that a display can show. While most people just go by the screen resolution of a display as a relative measure of its quality, the pixel density reflects how small those dots are -- the pixels on a 1080p display that's 50" across are MUCH larger than the pixels on a cell phone screen that's also 1080p. Installation no problem but I was hoping it would have the option for right click customisation so I can reduce photos from Windows Explorer - 'resize with ....'. Without this option it's not something I would keep. Thanks for your comment, Our tech team is working on the next version of the MSTech Image Resize, which will release in near future. On of the features in next version is quick resize from Windows Right Click menu. Dave, How about you make a test folder and put a couple image copies in it and try that out yourself. 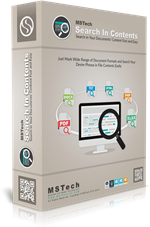 Mary Johnson, will giveaway particiapnts be able to install this iminent new version and maintain the giveaway license, especially since most of the new ideas due in the iminent new version are a result from suggestions and queries by this giveaways participants? Thanks for your comment, we had some additional updates based on users comments and feedbacks. It will be released soon. All users will be informed via email. It's now April 22 (5 days later) and when I check for updates, it says there are none - that I have the latest. When will the update with that option be available, and will I still be able to get it? Thanks. Mary Johnson, It's now April 22 (5 days later) and when I check for updates, it says there are none - that I have the latest. When will the update with that option be available, and will I still be able to get it? Thanks. 1. Does this software reduce or increase the file (hard drive storage) size? 2. Does this software reduce or increase the pixel size? I'm hoping it does the latter (2.). If so I will go ahead with the download and installation. I await your reply. After reading the comments already posted, I am still a bit confused on what this software actually does. I have seen no reply thus far that provides a clear description, and the promo text does not provide that either. So I will ask specific questions: 1. 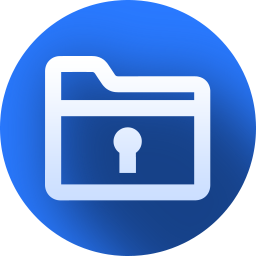 Does this software reduce or increase the file (hard drive storage) size? 2. Does this software reduce or increase the pixel size? I'm hoping it does the latter (2.). If so I will go ahead with the download and installation. I await your reply. Thank you. 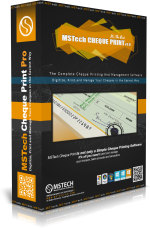 Thanks for your comment and also your questions, the answer to both questions you asked are Yes, the software can reduce or increase file size and also dimensions. Can you please explain how this program resizes images? For instance, If I select a very large size, will it result in pixelation? Martin, If you increase the size of any raster image format like JPEG, TIF or PNG without any interpolation or anti-aliasing you will begin to notice the individual pixels and steps on diagonals and curved edges and steps on colour gradients, it is unavoidable. Even with interpolation and anti-aliasing one still has artifacts with pronounced edge bluring as it attempts to guess the intermediate pixel values. This program does not impliment interpolation or anti-aliasing and it also does not impliment resampling that is an option also used to improve resizing an images dimensions. Martin, If you increase the size of any raster image format like JPEG, TIF or PNG without any interpolation or anti-aliasing you will begin to notice the individual pixels and steps on diagonals and curved edges and steps on colour gradients, it is unavoidable. Even with interpolation and anti-aliasing one still has artifacts with pronounced edge bluring as it attempts to guess the intermediate pixel values. This program does not impliment interpolation or anti-aliasing and it also does not impliment resampling that is an option also used to improve resizing an images dimensions. how does one leave feedback? how does one leave feedback? I clicked 'leave feedback' link and don't see how/ where to leave feedback? Give&Take, because the GAOTD offer is valid for today, thats why!! Mario, Every contributing vendor has the right to add to the giveaway offer some extra right like some permit a giveaways use in a commercial environment, others allow minor version updates others allow major version updates... some let us know those perks some don't. It kinda makes up for those lesser giveaways offering 6 months of an old version they no longer sell or support in any way in the hopes it will prompt an upsell to the current version. You're an "old" contributor in here. I visit this site daily for at least 11/12 years by now. The thing is, I'm kind of tired of people complaining this or that, without even reading the readme.txt file, or all the observations on the text of the giveaway or the comments users place in here or the rules of the site. 99.99% of their doubts would have been solved if they just read. hello TK! You're an "old" contributor in here. I visit this site daily for at least 11/12 years by now. The thing is, I'm kind of tired of people complaining this or that, without even reading the readme.txt file, or all the observations on the text of the giveaway or the comments users place in here or the rules of the site. 99.99% of their doubts would have been solved if they just read. Mario, yes it can be tiresom when questions arise that are answered in the readme.txt file included in every giveaway bundle but that is the consiquense of having new visitors that have never been here before or never experienced a particular style of vendor defined activation and are in tunnel vision mode and go directly for the setup.exe on opening the zip file... it's human nature to be lazy and single minded in persuit of a perceived bargin or gift. My opinion is just as the setup.exe/gcd combination has ancillary functions like offering software informer and setting some browser favorites and optionally displaying registration codes and opening the activated now what web page... GAOTD *could* embed the giveaway specific readme.txt in the setup.exe as well as properly detect when the setup.exe is launched in a temporary folder with no setup.gcd file present and tell the user to go back and extract the contents of the zip file into a real folder before trying to run the contained setup.exe file... OR add to the page explicit directions to read the enclosed readme.txt file before posting comments regarding installation and activation problems. But not all visitors to the English language site are native English speakers/readers and are here because it is the most frequented of the languages so has more potential for comments and assistance and so to them readme.txt does not mean "read me" unless they translate the file names as well as webpage contents. I only get an error: "Enter a valid name for image." I only get an error: "Enter a valid name for image." Deleted. Thanks for your comment, To answer your question, there is a naming section, which you can define a prefix, suffix and the main section of the file name, without including the extension, software will automatically add the extension to the file name. you can pass prefix or suffix but the main section is mandatory. If you fill that, then you will be able to resize your images. thanks great little software. Anyone know where you can download software informer for this site please. 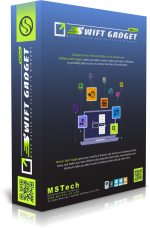 steve, the lazy way to install software informer that is affiliated with this site is to wait for another giveaway that uses the setup.exe/gcd themidia wrapper and look out for the install software informer button on the wrappers GUI.